The Eixample neighbourhood (translated as ‘extension’) was built, as the name suggests, as the newer extension to Barcelona. The barrio, north of Placa Catalunya and dissected into the left (izquierda) and right (derecha) sides by Passeig de Gracia, is home to some of the most impressive art nouveau architecture and a host of amazing bars, cafes and restaurants. 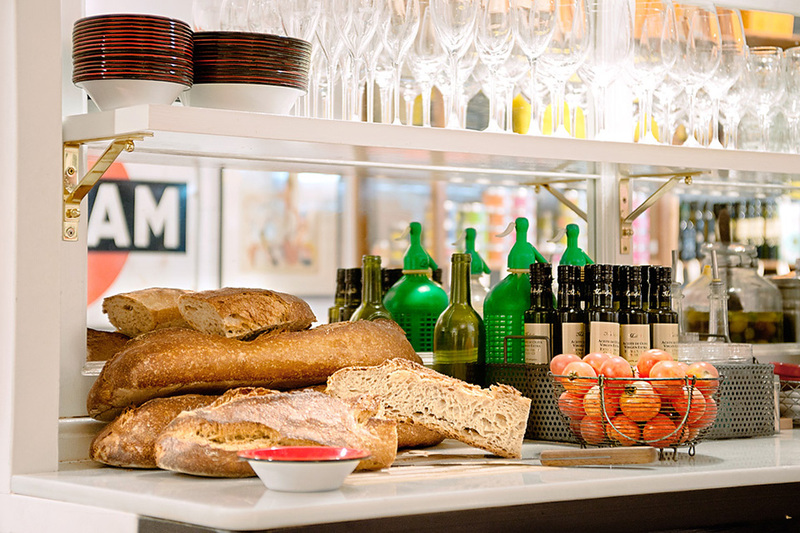 The district was designed as an easy to navigate grid so it’s easy to discover the area’s best restaurants in Eixample. 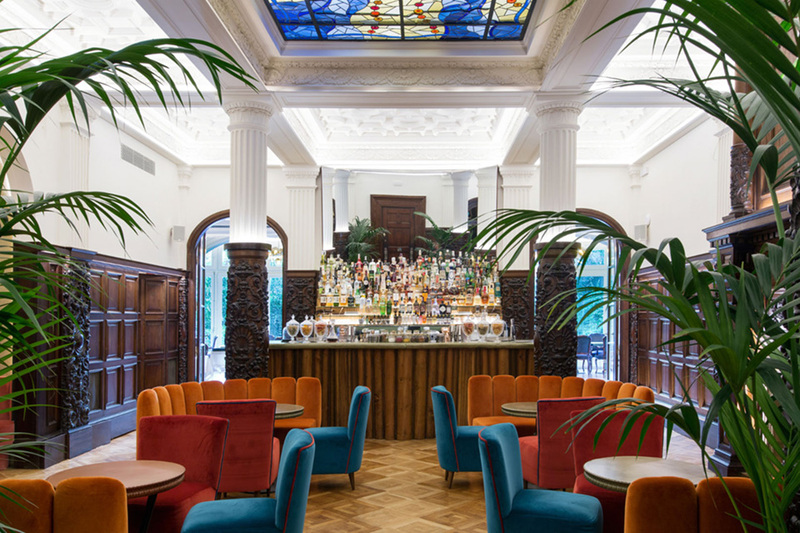 Located just off Passeig De Gracia, walking into El Nacional feels like stepping onto the set of The Great Gatsby. 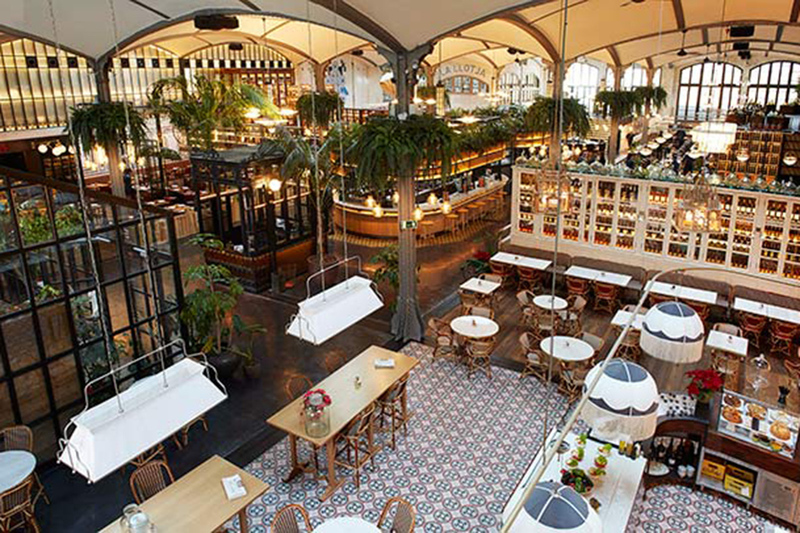 With its gorgeous modern take on 1930s architecture, it’s one of the most unique places in Barcelona to eat and drink. 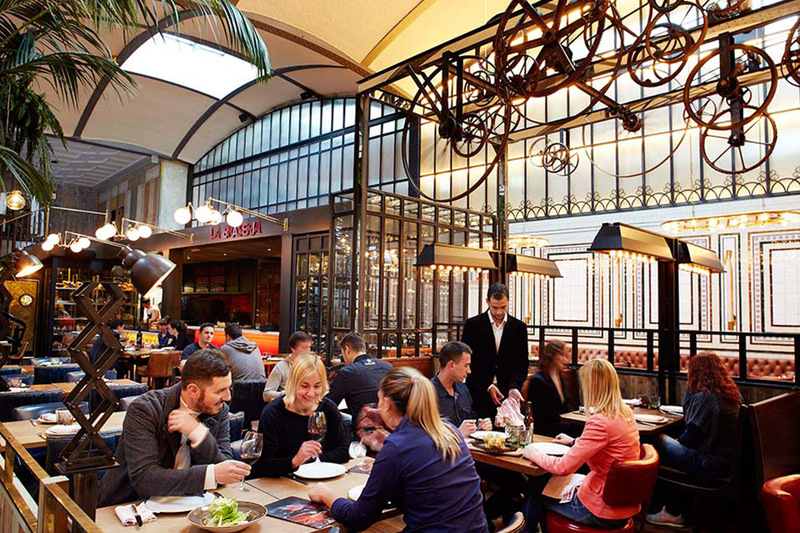 Located in a former parking garage, El Nacional is home to several tapas bars and restaurants that feature traditional recipes from around the Iberian Peninsula, prepared with high quality produce in unique surroundings. 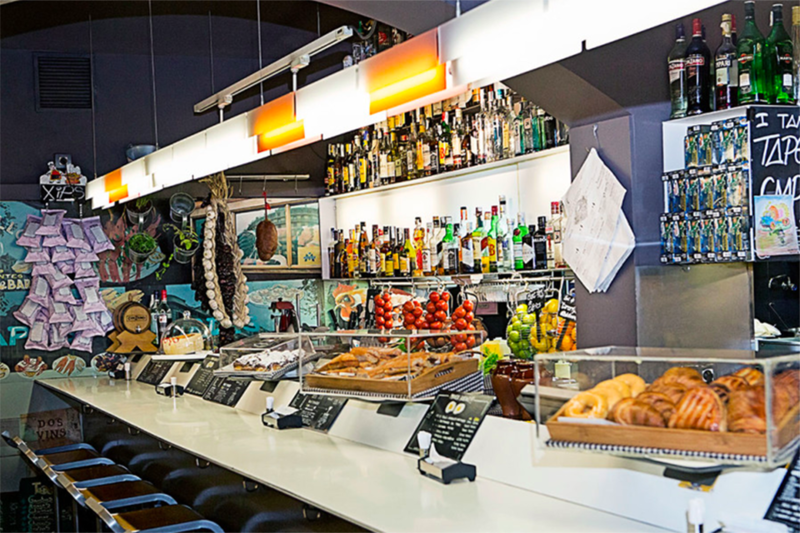 Boca Grande is one of the best places in Eixample to eat delicious locally caught seafood. 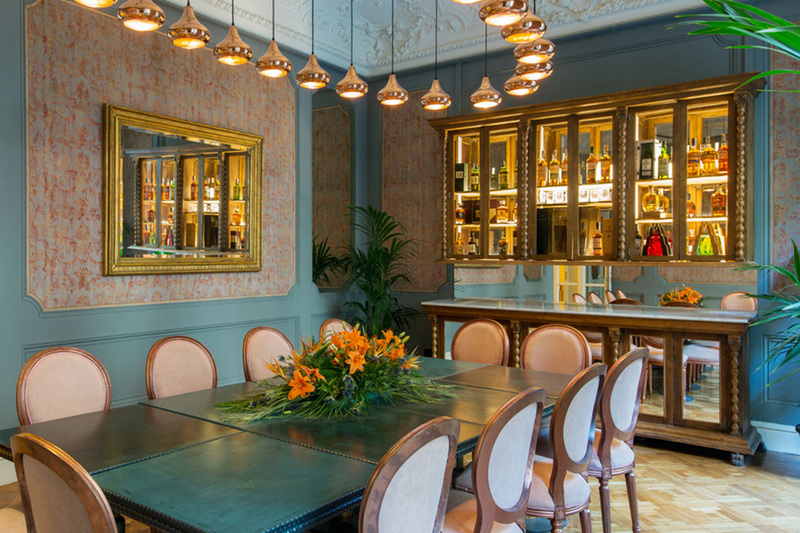 For the best fine dining experience in Eixample, Disfrutar has a great tasting menu of Mediterranean inspired food, whilst Betlem offers deli-style tapas in more humble surroundings. 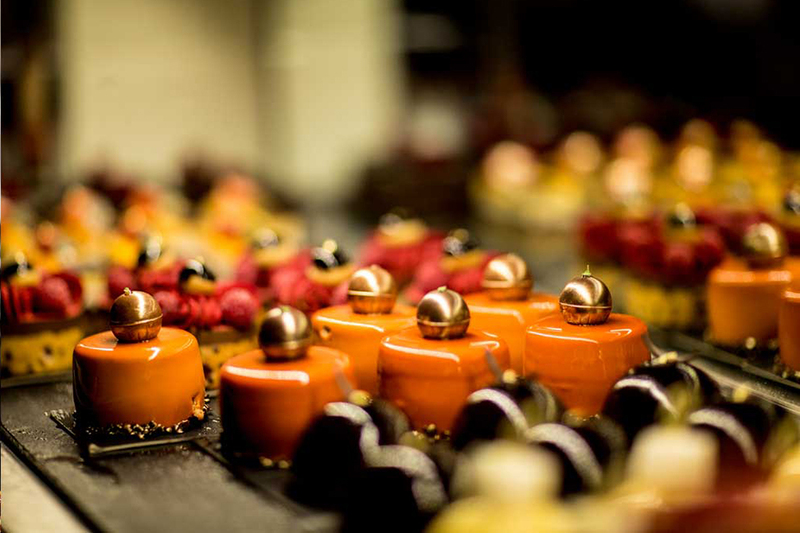 DestinationBCN has carefully selected the top restaurants in Eixample for you below. This charming place in black and copper looks like it has been there forever. 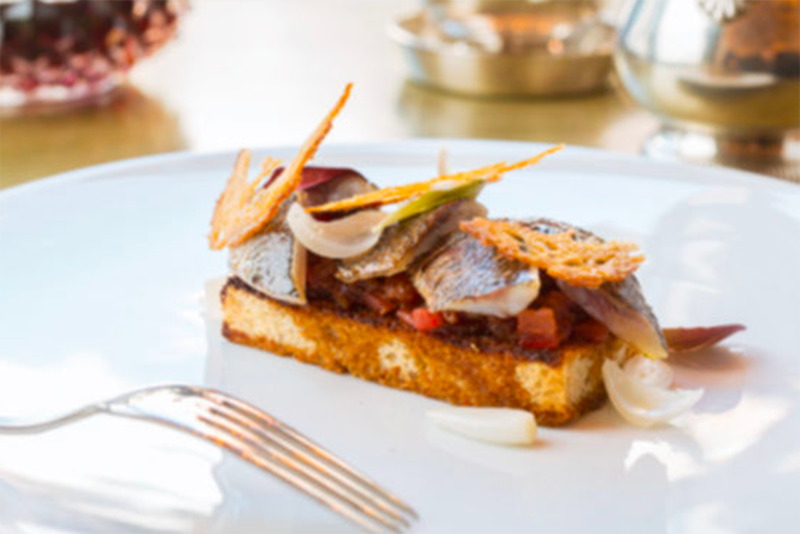 The quality of the ever-changing dishes and the impeccable wine list surely suggests so, but in reality, it has been a hit ever since it opened around 2004. 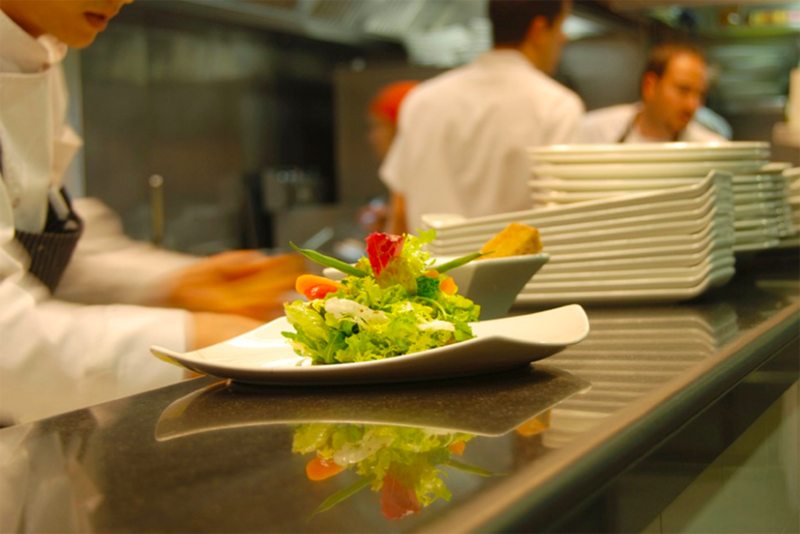 A true culinary gem… be sure to reserve a table. A former delicatessen store, this little place with a humble kitchen is where you can find high-quality food in a nice neighbourhoodish corner of Eixample. Great spot for a bite and they also have a little terrace where you will find people having lunch or a glass of wine on sunny days. 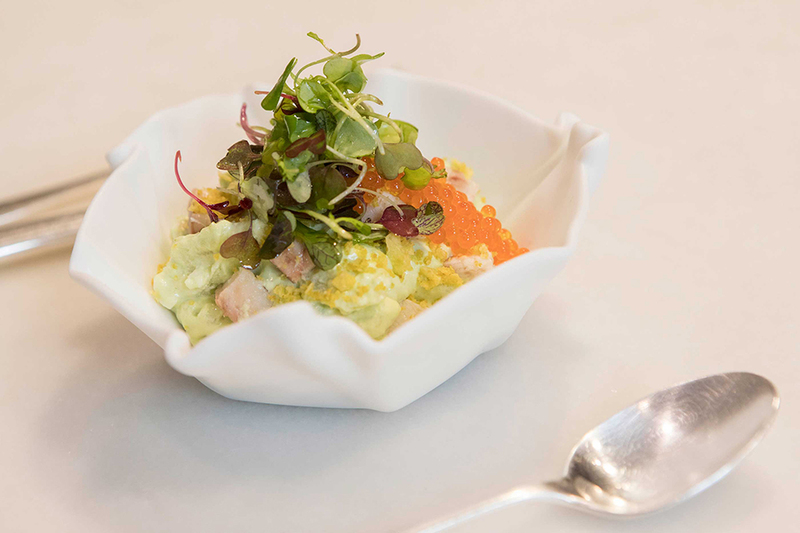 We love the salmon tartare and their smoked sardines. 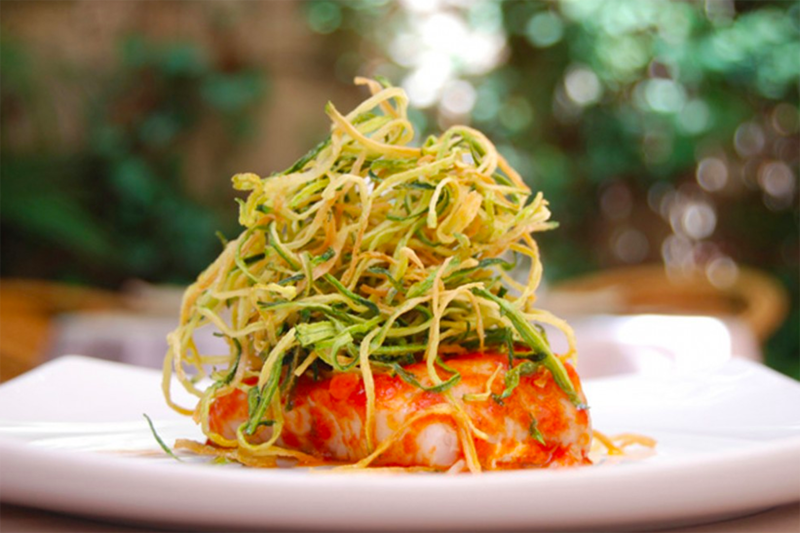 Boca Grande offers locally caught seafood in an elegant setting designed by Lazaro Rosa Violan. Located in a pretty gastro alleyway between Rambla de Catalunya and Passeig de Gràcia. 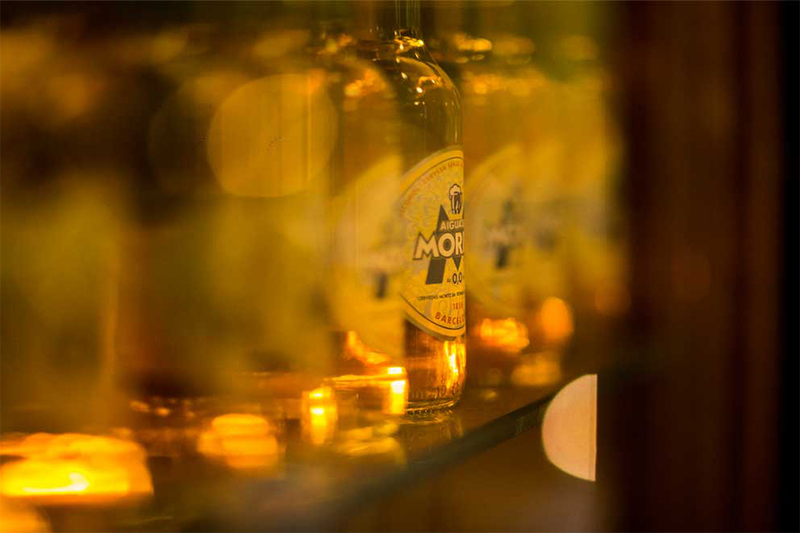 For drinks only, head straight to Boca Chica upstairs. 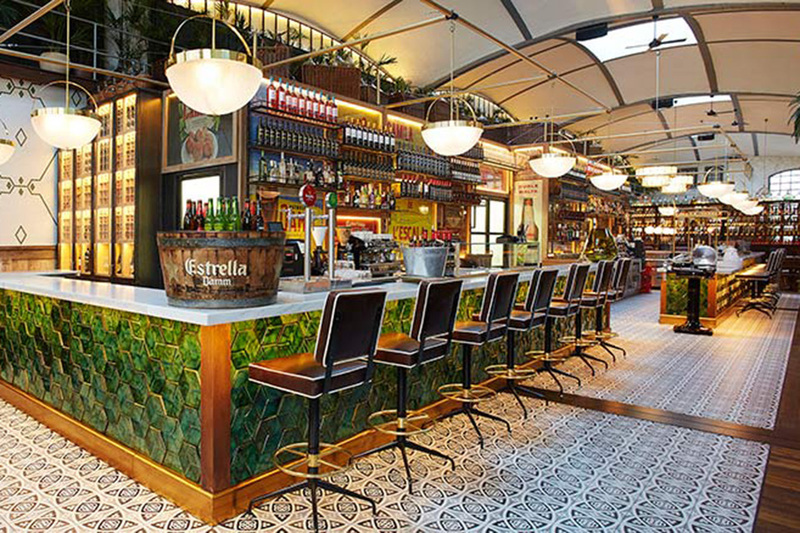 Gastronomic space on Passeig de Gracia, houses four bars and four restaurants in what was once a parking lot. 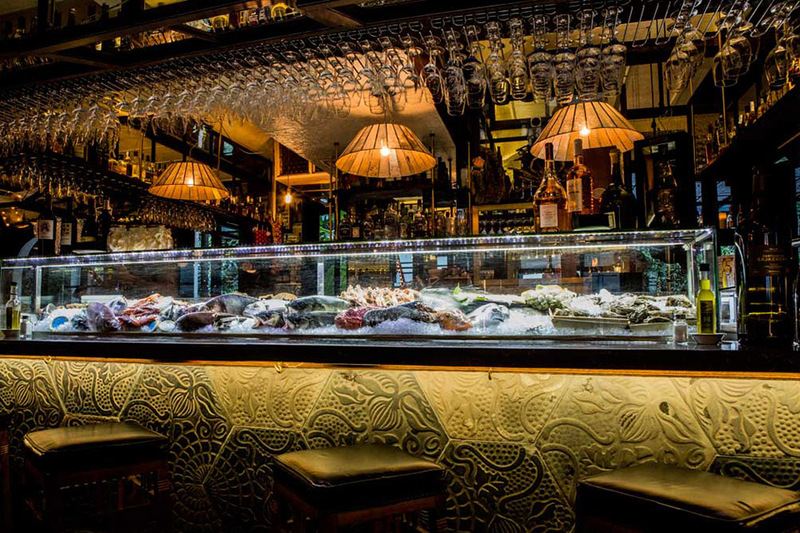 You have the oyster bar, a tapas bar, a fish restaurant, a sweet place, a cocktail bar and more. The interior design by Lázaro Rosa-Violán is incredible and has been featured in many publications worldwide. Note that they don’t take reservations. 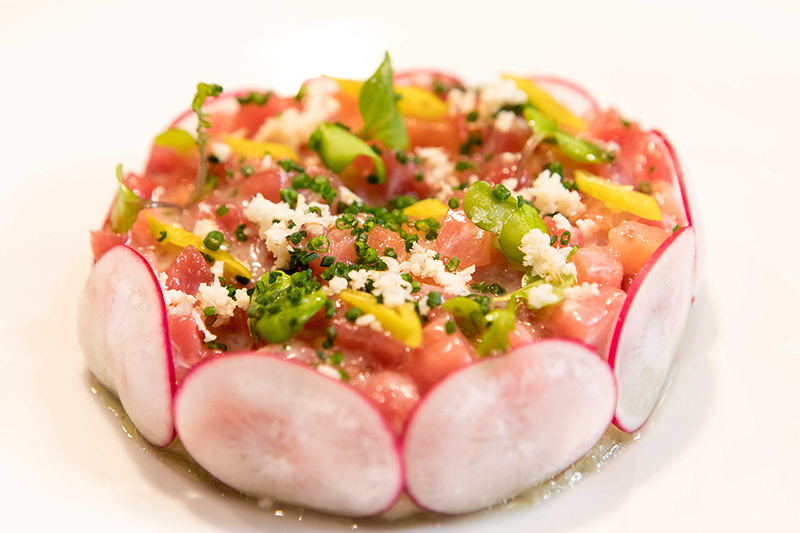 Chef Jordi Artal’s philosophy is that the key to great food is to utilise the freshest and highest quality produce. 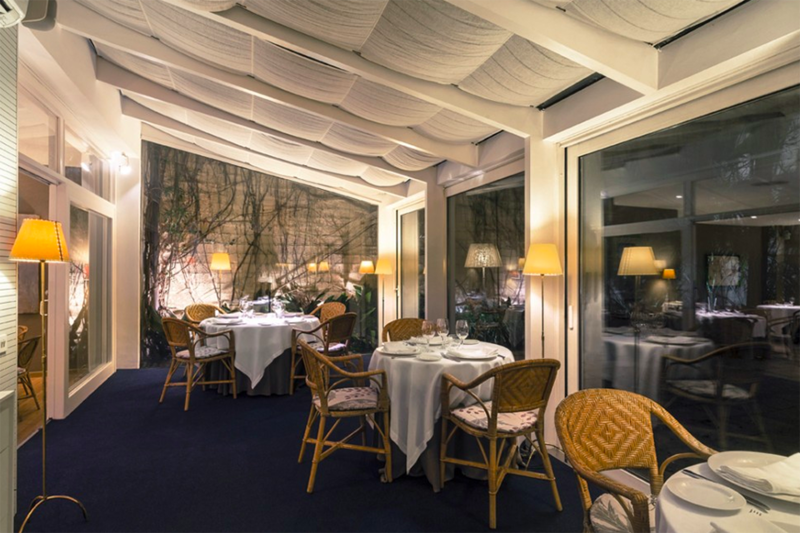 Running the restaurant with his sister Amelia Artal (honoured as one of the top maître’s in Spain) this Michelin starred restaurant offers an inventive tasting menu rooted in traditional Catalan cuisine and consistently delivers an exceptional dining experience. 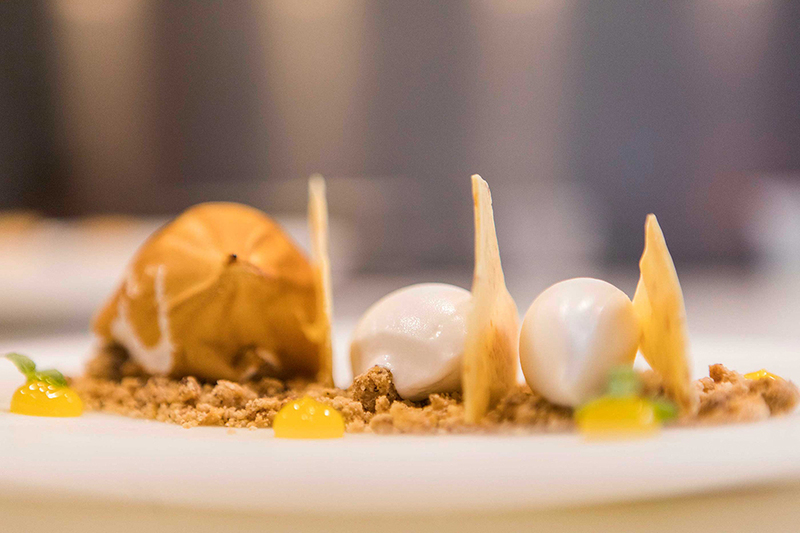 Headed by Oriol Castro, Eduard Xatruch and Mateu Casañas, previously head chefs of elBulli, who debut their Barcelona restaurant with a double tasting menu format. 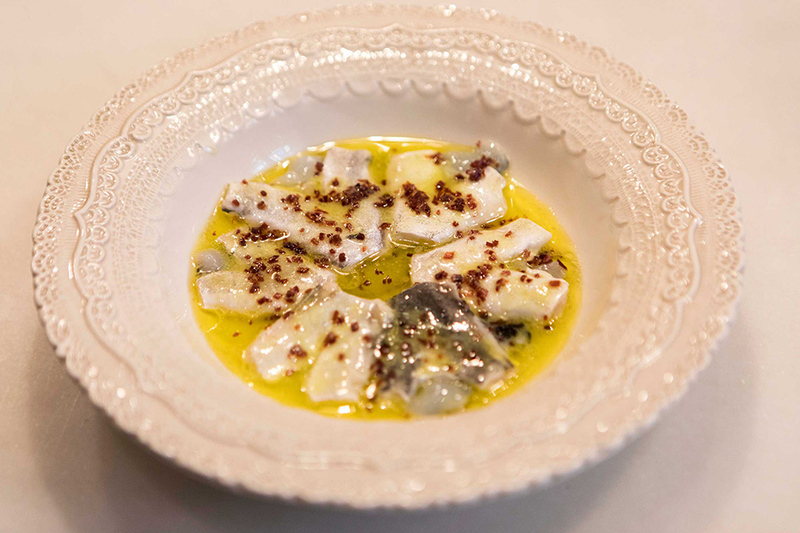 Their menus (starting at 100€) include 20-30 dishes starting with hot and cold snacks before moving on to various starters, molluscs, fish, meats and desserts. This family deli has opened up a kitchen and now serves delicious homemade dishes with produce from their very own farm in Catalunya. 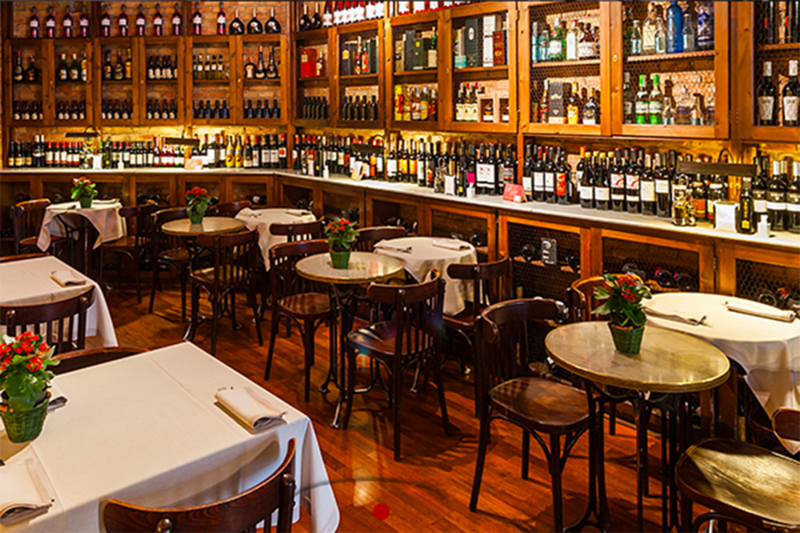 With a bistro feel, you are surrounded by conserves, bottles of vermouth (that the family once produced) and local meats and cheeses. We recommend the Embutidos (selection of cold meats), Huevos y patatas and their Steak tartare! Small, local place. Family run (mom supervising the kitchen, dad & son running the floor). Great for lunch (get there before 2 PM) when they have a tasting menu, consists of 3 starters and 3 main courses, all very small and surprising dishes. Please note that they don’t serve the tasting menu at night. Chef-owner Rafa Penya is passionate about organic wines. This humble little bar, located next door to Restaurant Gresca, offers an affordable fine dining experience with delicious and innovative dishes such as Filo pastry with caramelised onion and crème fraîche, and the Burrata with slow-braised leeks (and whatever you do, don’t miss the Torrijas for dessert). 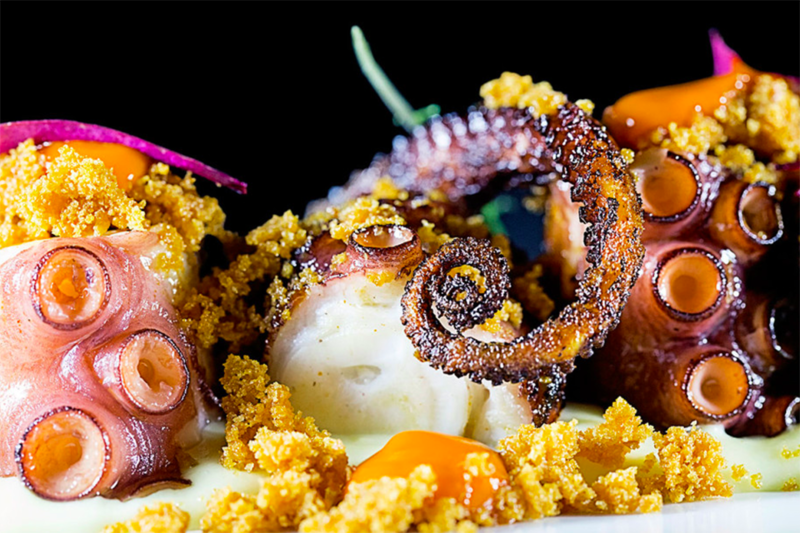 A gastro-bar offering tapas and small dishes from traditional to vanguard cuisine. All the ingredients are organic and sourced from the surrounding areas. 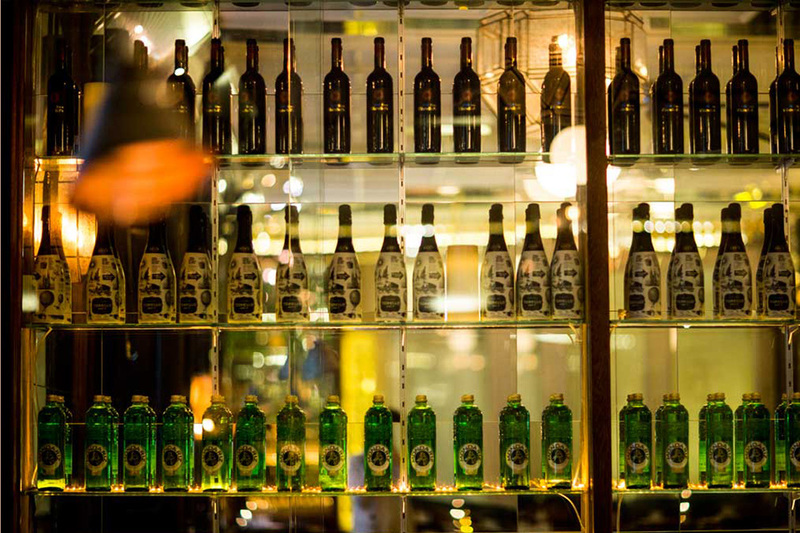 It also boasts a 250+ wine list. 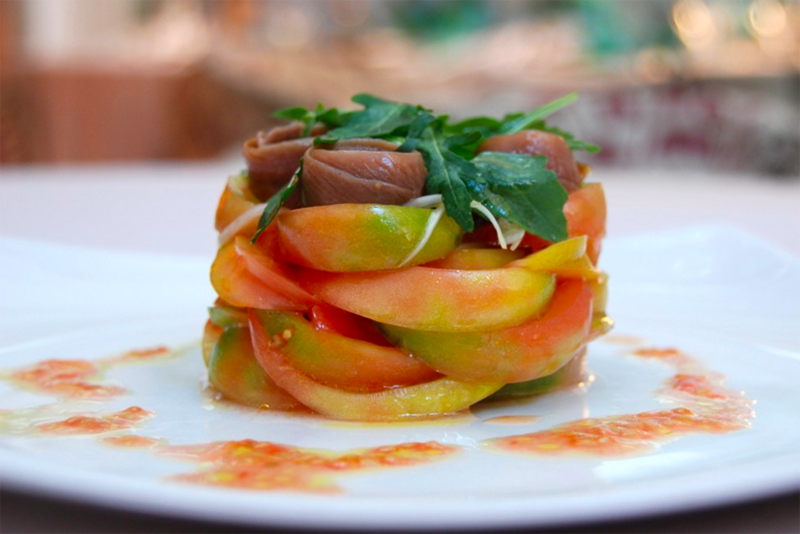 MediaManga creates signature dishes based on traditional Mediterranean recipes. Fresh fruit and vegetables are grown in their own orchards in the village of Mont in the Vall d’Aràn. Meat, fish and other ingredients are sourced from small local producers and the best Catalan markets. 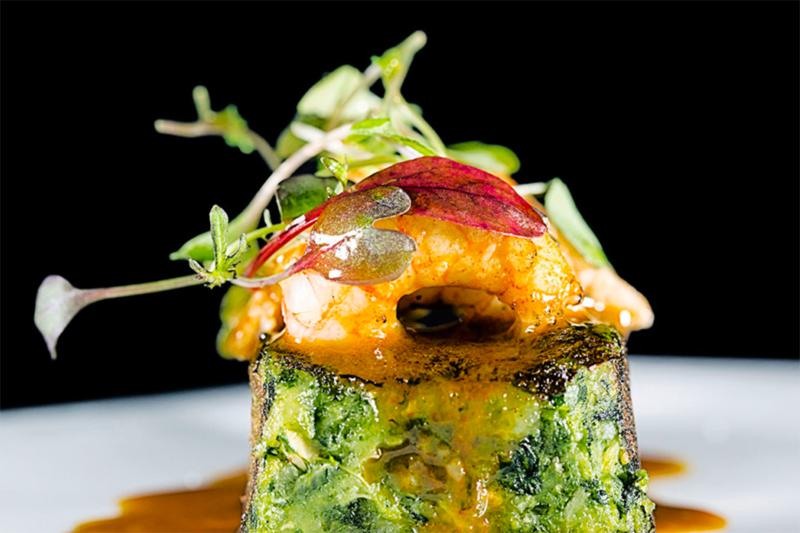 Regional dishes are given an inventive twist such as homemade Andalusian tomato soup served with a mango and tomato tartare or Seared red mullet with potatoes and lemon basil oil. 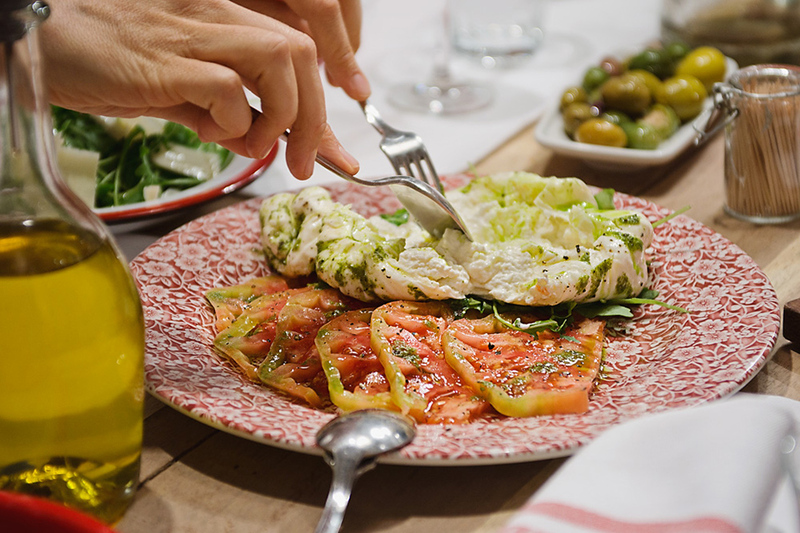 Dishes are designed to share. 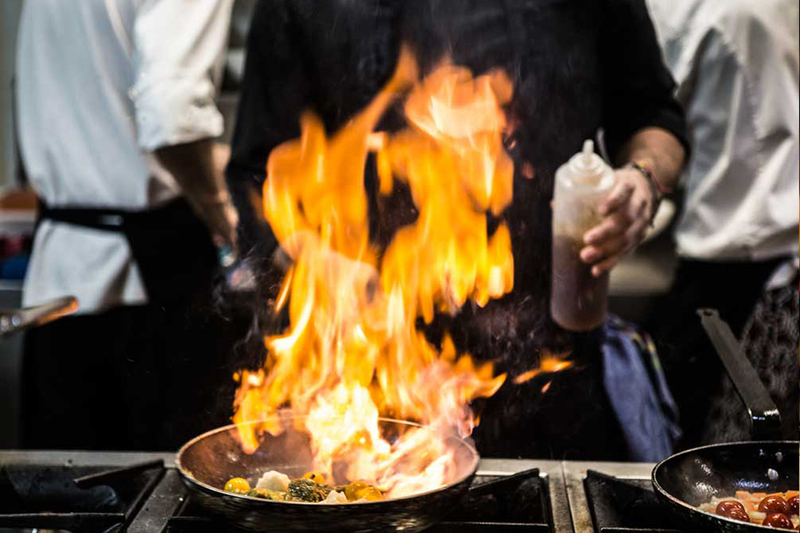 Rafa Peña and Jaime Tejedor command the kitchen of Rilke, which features dishes with a French spirit and a Catalan heart. 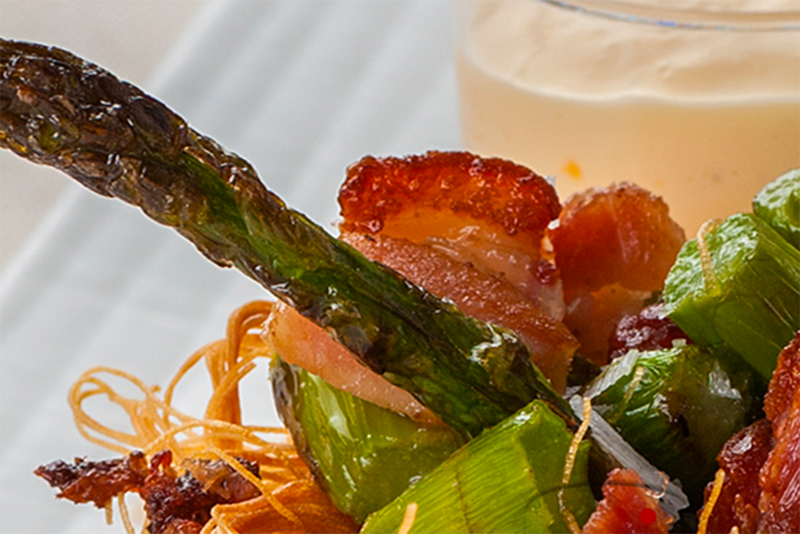 This restaurant evokes a feeling of decadent romanticism but with moderate prices. 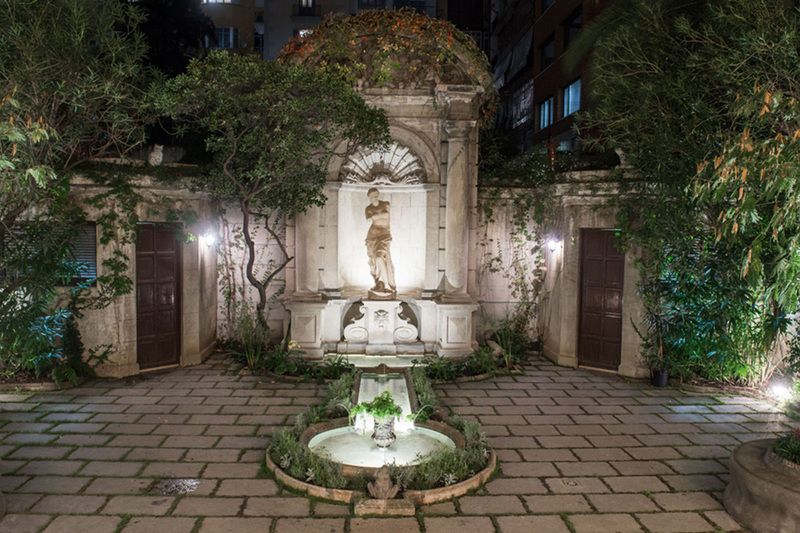 Located just off Passeig de Gracia, on the mezzanine floor of a grand building that dates back to the early 20th century, Rilke’s dining room has views of the interior courtyard that’s presided over by a Venus de Milo. Highlights include Pheasant cannelloni with roasted bechamel and Crispy Iberian piglet with pumpkin and potatoes. 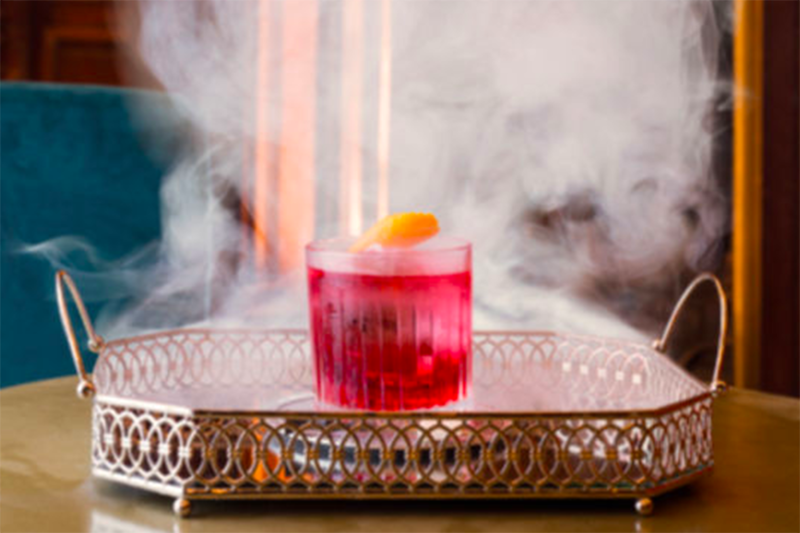 Their cocktail list is dazzling with a great list of original recipes and new takes on old classics. 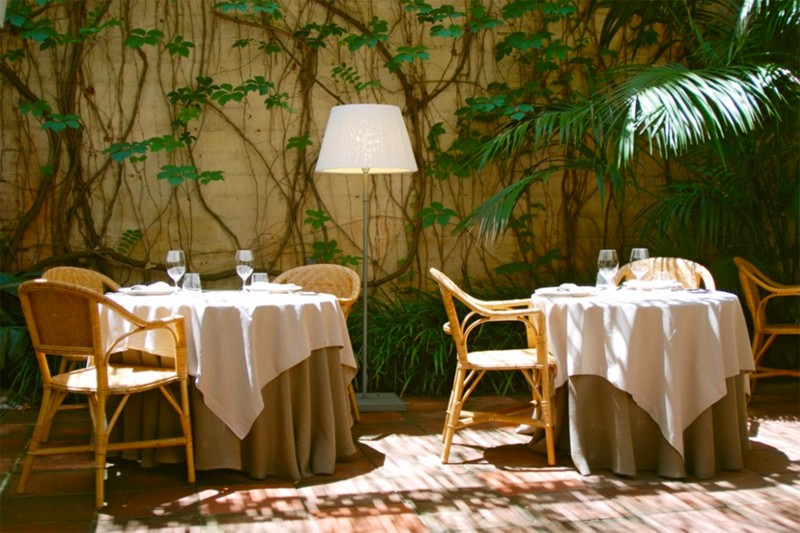 Fresh market produce, high-quality ingredients, great interior patio, known to be one of the best Catalan restaurants in the city. Good service, good wine list. We love the Ous estrellats al gust amb bull negre, the Baby squid sandwich, the Mojama with almonds and the always-fresh Boquerones al limón accompanied by very good Pa amb tomaquet. 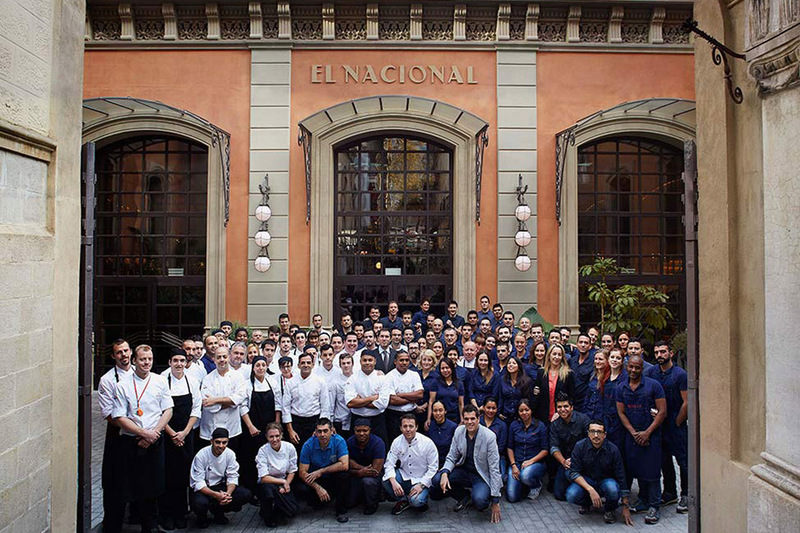 It is run by Carlos Abellan, the chef who created Restaurant Comerç 24 in Born and supervised the Bistro El Velódromo in Eixample. The atmosphere during the day is relaxed with a busy peek during lunchtime. From 8 PM it can get very crowded. A fun urban tavern that serves tapas, small dishes, dishes of the day and a unique take on montaditos. 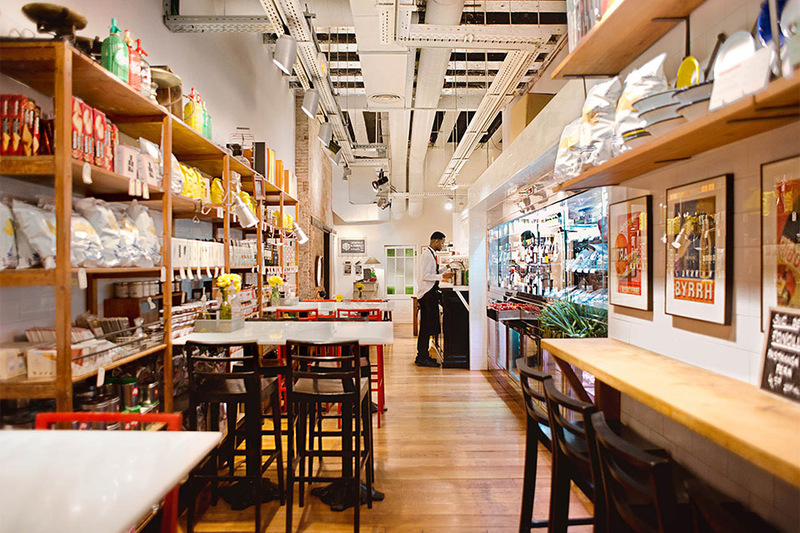 A lively eatery, where you will mostly find locals. Expect Courgette flowers with mozzarella cheese, Bombas (big spicy meatballs), Local octopus with candied onions and Rabbit cutlets with garlic and parsley.